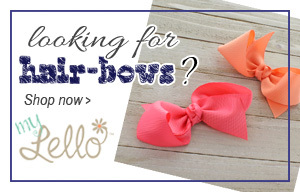 The HairBow Center is your one-stop-shop for unique high-quality hair ribbons and hair bow supplies at affordable prices, with wholesale available on many items. Whether you’re interested in creating original hair bow designs, or are looking for the perfect ribbon to compliment your next craft project, the HairBow Center is sure to have what you need! 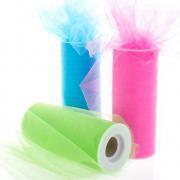 We offer a wide variety of products in ribbons, fold over elastics, hair-hardware, hair flowers, tulle, girls and baby tutus, hair accessories, and even some hair-bow templates and instructions to get you started! Ribbon is our largest product offering with over 10 different types available in thousands of color/width/length/design options, including our popular solid wholesale grosgrain ribbon (pronounced as gro-grain, not grossgrain) polka dot ribbon, and satin ribbon lines. 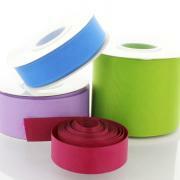 Basic ribbons are available in solid grosgrain and satin ribbon, velvet, gingham, fold over elastic for hair ties and headbands, as well as decorative glitter, sequin, double ruffle, PP webbing and stitched ribbons. From sports to holiday themes to licensed Disney and other character ribbons, we pride ourselves on our vast array of printed ribbons designed in the USA! Our hardware offering includes a large assortment of sturdy steel alligator hair clips and French barrettes, blank plastic headbands, bow-tie hardware, ponytail holder elastics, and brooch pins, key fob hardeware and clasps, along with all the tools and adhesives you will need to complete any ribbon craft project. All of our metal hardware has been tested and certified CPSIA compliant with certificates available for download. 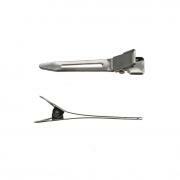 We also carry various items for your bow packaging and display needs. Veiw our hair bow cards available in several sizes and printed designs. Put on the “glitz” with bling, fabric flowers, and feather boa frills! Add a pop of “fun” with a flattened bottle-cap center and our printable bottle-cap images or a hand-painted flatback resin embellishment! 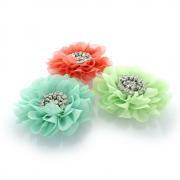 Go back to “vintage” with our large shabby fabric flower offering. 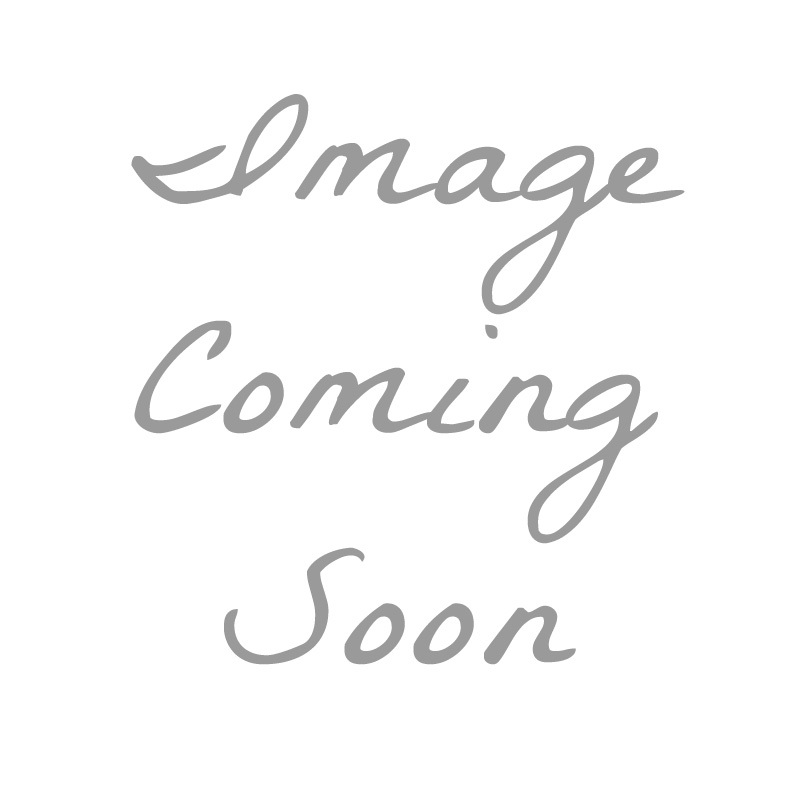 Hot fix rhinestone motifs are available in alphabet or cheer bow themes. Our embellishments are sure to be a favorite for those looking to add a special touch to their hand crafted hair accessories or other decorative craft projects. 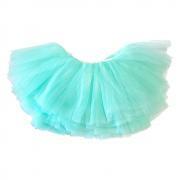 We also stock pre-made wholesale hair bows available in many different styles and sizes that are ready for resale. Need help finding that perfect item? Try our intuitive search feature that displays suggestions as you type! Like what you find? Share your inspiration on Pinterest, Facebook, Google+ or your favorite social media. Customer Service! 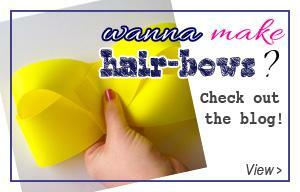 Customer satisfaction is our highest priority here at the HairBow Center. Our customer service department is here to answer any of your questions and our same-day shipping ensures that you’ll get the hairbow supplies you need when you need them! Earn Reward Points! There are a number of ways that we like to reward our customers for shopping with us including our Reward Point program. Shop and earn points on every purchase! Help your fellow shoppers by leaving a product review and earn points for a future purchase at the same time! Learn Something New! Visit our blog, browse our Pinterest page, or watch some videos on our YouTube channel for ideas and inspiration. lots to choose from, affordable prices, different shopping options. Wonderful site to do business with. Great customer service and products! I have been ordering for a while now, and have not been disappointed .